The story of the World War II "Monuments Men", a special Army unit created to help recover art treasures looted my the Nazis, has become well known due to the George Clooney film this year. One of the monuments men was Gilbert H. Doane (1897-1980), Librarian of the University of Wisconsin - Madison from 1937 to 1956. Doane took a leave of absence in 1943-1945 to serve in what was officially known as the Army's Monuments, Fine Arts, and Archives (MFAA) program. 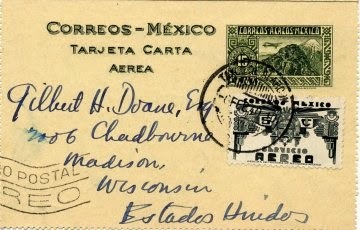 Although I knew that Doane had served as Librarian of UW-Madison, I didn't know about the monuments men connection until I did some research as the result of a recently acquired airmail letter postal card sent to Doane from Mexico in 1940 (see above). 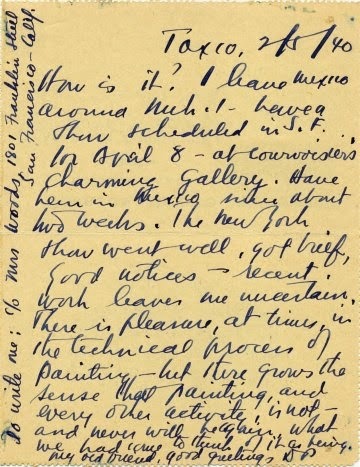 The letter was sent by a friend of Doane's with the initials D.P. The friend is an artist and the letter updates Doane on the friend's artistic activities including an upcoming show in San Francisco. Doane left the Army with the rank of Major. When he stepped down from his post as UW Librarian he was ordained as an Episcopal priest, and in 1957 he returned to UW as the University Archivist, a post he held until 1962. There is an excellent post about Doane on the UW Archives blog, and also a great post on the Bibliophemera blog. The Ohio State Library operated the largest and longest lasting traveling library program in the United States. Traveling libraries were small rotating collections of books. They were used by state libraries to extend library service beyond public library buildings. They preceded and were alternatives to bookmobiles. 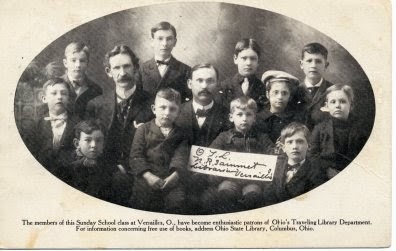 The traveling library program of the Ohio State Library started in 1896 and lasted until 1973. 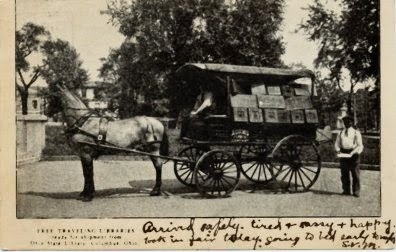 The Ohio State Library used postcards to promote its traveling library service. This was a highly innovative use of postcards by a library. Only the American Library Association's Library War Service in World War I made greater use of postcards to promote library service. 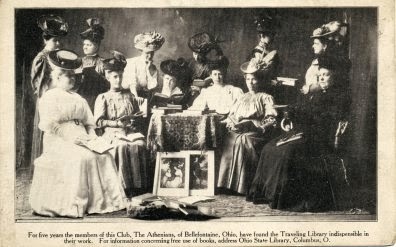 The use of postcards by the Ohio State Library preceded ALA's use of postcards by more than a decade. The two used postcards in my collection were mailed in 1906 and 1908. I wrote a previous post about Ohio's traveling libraries in schools.